So that’s it, for now. I just handed in my dissertation. Feels pretty good. And not just because I’m done, or because I’m proud that I did it, but because I actually feel pretty good about the result. Sure, there’s lots to question and criticise, but all in all, I believe it’s a decent read and that it makes some interesting points. But lets wait and see what the assessment committee has to say about that. If they accept it, the thesis will be made publicly available around August, and I expect my viva to be some time in September. On the one hand, it takes a bit of gung-ho adventure spirit, a creative curiousity and a willingness to set sails and venture into the unknown (with a gargoyle! must have gargoyle for this kind of job. And some guardians; my supervisors, perhaps, or Latour and Foucault. Or my sons). That’s the fun part, even though, a lot of the time, I have felt a bit lost at sea on that raft, fearing that my construction was not solid enough, that my map was way off. But then the raft has taken me to some interesting places. On the other hand, it takes the resolution and ability to sit down and write, and keep at it, and stay put until its done, like some kind of academic potty-training. That’s the hard part, accounting for the the journey taken, the construction and constituents of the raft, and the significance of the gargoyle. For me, at least, this part was the hardest – embracing uncertainty in an epistemological sense does not mean that it is not a bugger to deal with, personally and academically. But it many ways, this is also the most interesting part, because of the process of understanding [erkendelse – can’t think of a proper translation] taking place as you write. Like this blog has served as a sketch pad for that process. This won’t be the final word, however. 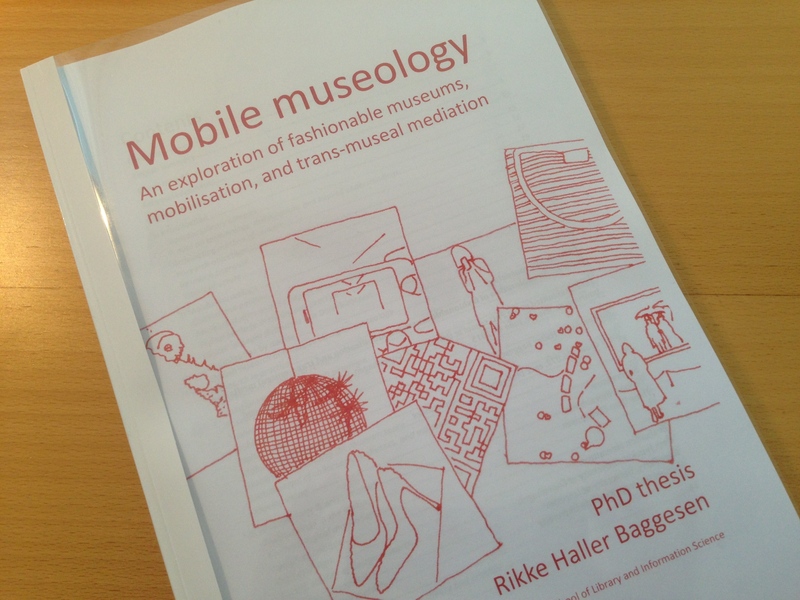 For starters’ there’s the viva, then I have an abstract to write, and I’m mulling over ideas for a post doc etc. I’ve also just joined University of Leicester’s museum studies MOOC, and am very curious to experience e-learning and maybe get some new perspectives. But for now, I’m done. Awesome!